One of the comments I got when I started the Studio @ Home series was about flooring. I mean not *all* of our pictures are seamless white. 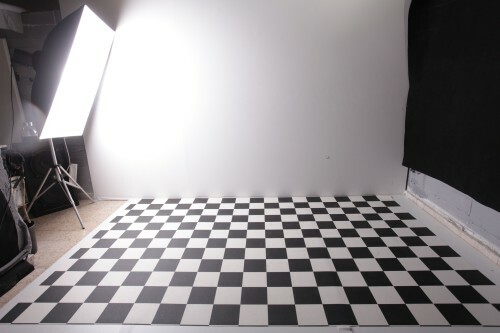 Some pictures are taken with the floor and background as part of the picture. We covered spaces and backgrounds quite a bit but never gave enough attention to that thing under our feet called floor. Here is a neat little way to create instant flooring that looks like hardwood floor, checkers, or almost any other cool pattern. Most hardware stores in the US hold something called Vinyl Flooring Sheets. Donno how to describe those other that rollable floor. Lowes has a wide selection of those. The nice thing about them is that you can store them rolled and spread them on the floor based on need. Yes, the photo at the top of this post (courtesy of Ron Uriel) was taken with a rollable floor like this. See the next two images below. This is not Photoshop, friends. Another option (though not as fast) is to use laminated click hardwood flooring. 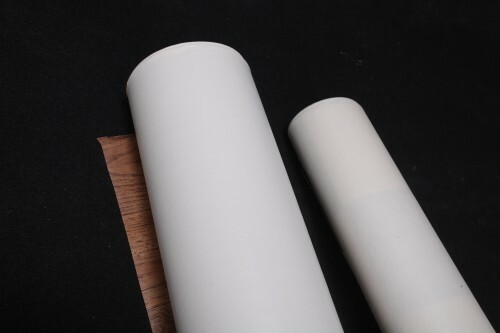 Those take a bit more time to construct, but feel harder and do not have the softness that the vinyl floor mat has. They come as hardwood panels and you wanna look for those that have some sort of a click-lock system and do not require glue. This way the panels will not drift apart. Tacho, there is no damask backdrop in this photo. The back is a simple drywall painted white. I find the drywall very useful because it is also easy to attach various fabrics and backdrops to it using a staple gun. 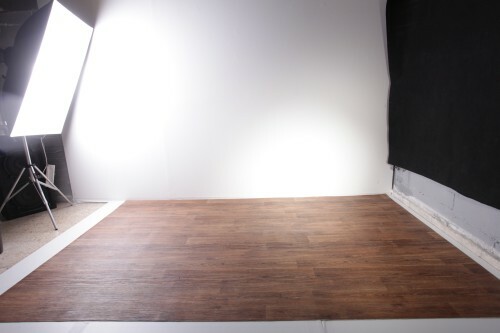 Here you have it: PVC for the flooring, Drywall for the backdrop.